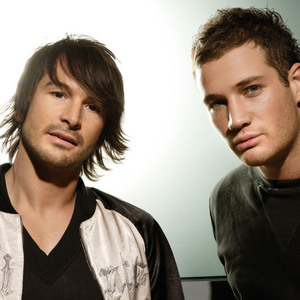 BodyRockers are an electronic music act, consisting of British/Australian duo Dylan Burns and Kaz James (from Melbourne). The pair came together in early 2004 after a chance meeting between Dylan and Kaz in Australia. The pair first started with Dylan playing his guitar over Kaz's rocky DJ set. They claimed the chemistry was instant. They are mostly known for their hit song I Like The Way (You Move), released in 2005. The song reached #3 on the UK Singles Chart, and the top 20 on the Australian ARIAnet singles chart.